KARACHI: Goods and jewellery worth millions of rupees were stolen as thieves broke into four shops at the metropolis’ jubilee market in Karachi early Saturday morning. According to reports, the thieves also assaulted a guard upon showing resistance. The shopkeepers told the reporters that at least six thieves smashed their way into one of the shops and broke the adjoining wall of one of the shop to enter into their targeted jewellery shop. 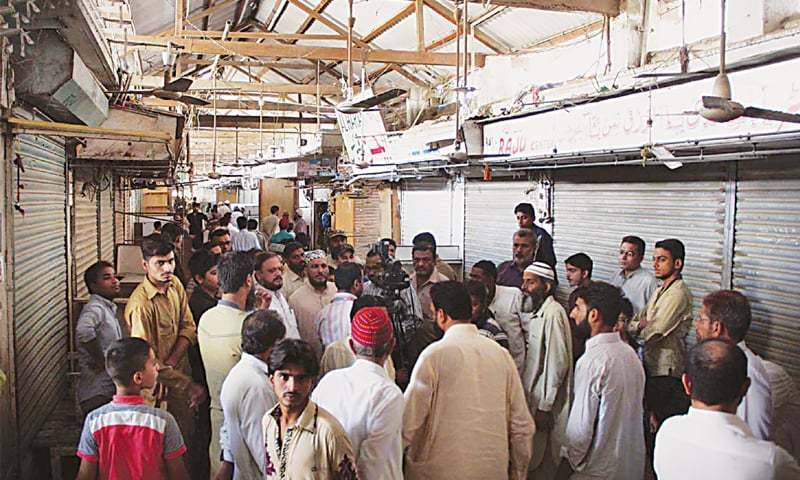 The traders said that it was the fifth theft that the Jubilee market— located at the metropolis’ MA Jinnah road— had witnessed in the last two years. They also said that the police promises of providing security but no arrests have ever taken place. The authorities are now trying to locate the suspects through the CCTV footage of banks and shops, and will try their best to get to the suspects as soon as possible. A brief protest was recorded by the traders as they blocked the MA Jinnah road for some time.